May Attaway shares the house she grew up in with her aging father, although their relationship is distant. She watches her neighbors with detachment. She is a skilled professional gardener who leaves her own yard untended. She feels she may even neglect her cat. As May approaches 40 she ponders the value others place on friendship, and her lack of close friends. 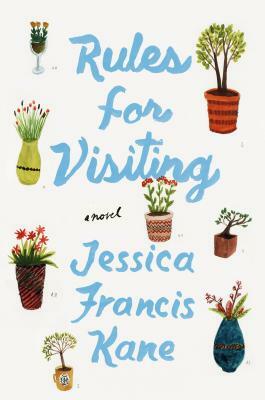 She embarks on a personal odyssey to visit four friends from her past. As she visits each in turn, trying to be a perfect guest, she rekindles old closeness and learns that these women are also struggling daily. Even people who seem to have everything struggle, but often friendship and love are the rewards. This book gently explores friendship and personal identity with humor and insight. May is not an epic hero, but we can all learn to keep in touch.